Perishables were fruits and vegetables shipped in iced refrigerator cars. Many such cars ran coast to coast, handled as priority freight at near passenger schedule speeds. 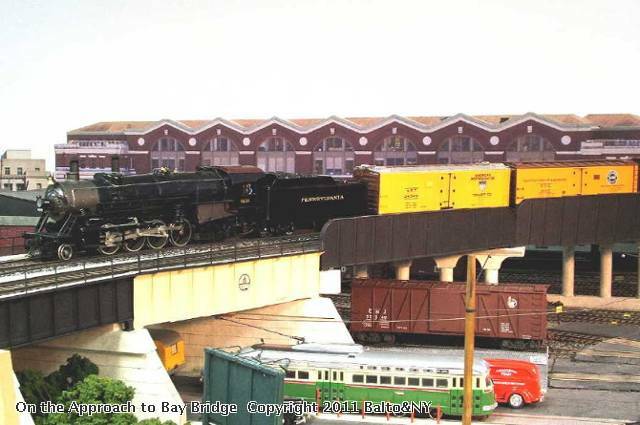 In this scene, a freshly shopped PRR 2-8-2 (a visitor's loco) rolls toward Bay Bridge on the Baltimore & New York with a train of refrigerator cars. OK, I put in a photo for April. Who else will join me?